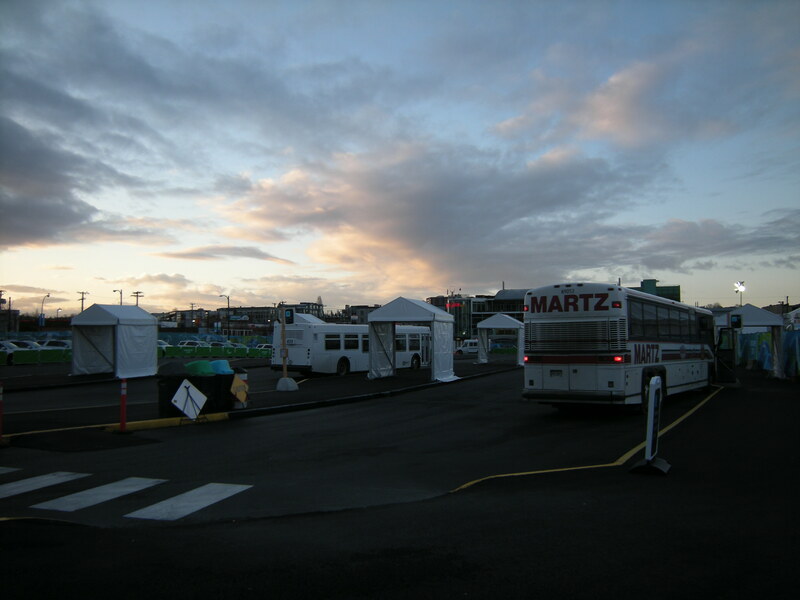 On Sunday I continued my volunteer journey at the athletes’ village and much like my first shift at the Oval, I had to bump around before finding my team leader and the load zone area I was assigned to. Luckily I was not alone as I met two of my fellow team members who were both reporting for their first shift. Ms. Acklands Grainger was one of twelve employees in all of Canada who won a volunteer berth (120 entries submitted) for the Olympics or the Paralympics. She was assigned the latter and, needless to say, was quite happy about it since all expenses were paid for by her company. Mr. Mac is a nice, gentle fellow from North Vancouver who worked at Cypress during the Olympics. We actually met as we were walking out of the Canada Line station at the same time. He was so kind as to offer me and Ms. Acklands Grainger a pin from the city of North Vancouver as an introductory gift. So the three of us hung around and met the night shift team leader who spent some time with us even though it was time for him to go home. After the sun came out, we finally met one of our team leaders, Yukon J, who took us on a tour around the village and introduced other members of our team. We didn’t “work” much that day since we mostly observed how the system works and there were enough people to handle the work. As well, we were told about a warehouse sale just a few blocks away and a whole bunch of us volunteers decided to spend some time there. 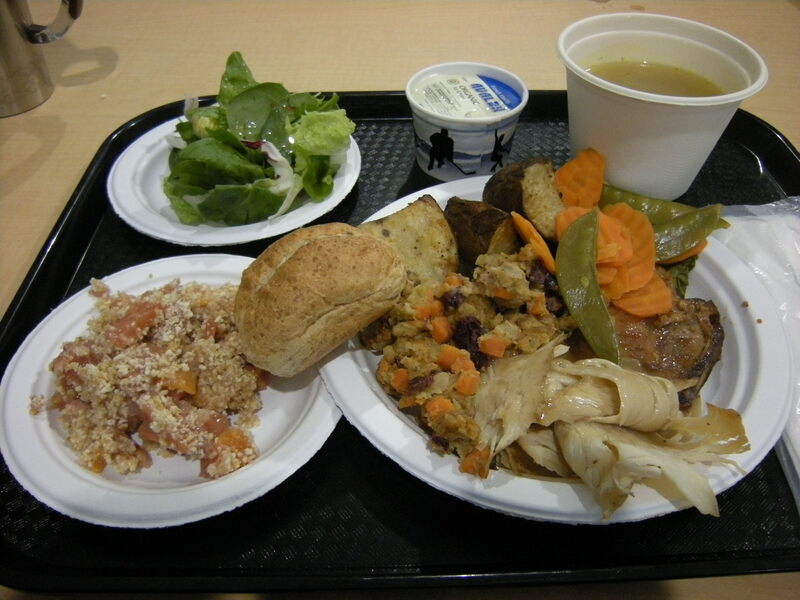 By the time we got back and finished our lunch – more on the food later – it was the end of our shift. Overall, an interesting start. And talk about not being at the right spot at the right time. I was busy chatting with the driver of the Swiss curling team bus when the Canadian sledge hockey team came out to board theirs. Some of them, including captain Jean Labonte, were signing autographs on their own personalized hockey cards and handing them to a few of my colleagues. By the time I realized what happened, they had to leave and I was left empty handed. Here’s hoping for another chance later on this week.